Agent Lafayette True is having a bad day. After a briefing on the need to recover a poisonous briefcase accidentally issued to a British agent, he was late getting to the airport. Fortunately, his flight was delayed and he boarded-just in time to be skyjacked to Beirut. Then Jordanian officials detected his fake passport, and the secret police are now detaining him indefinitely. So far he’s received two pieces of mail. One informs him that his luggage arrived safely in Athens but was stolen from the airport. The second piece of mail is a Dear John letter from his wife. Have you ever run a TOP SECRET/S.I. mission in which each agent’s well rehearsed split-second actions occurred on schedule-but you wished something exciting would happen to liven things up? Now, Administrators, wait no longer: The following material will provide you with plenty of unplanned, unexpected complications to disrupt a smooth-sailing but boring espionage campaign! If you do not have unexpected events built into a mission you are Administering, the following checklists may be used for added plot development. These should not be used in keyed, programmed missions, but they are useful in adventures that you have not otherwise planned out. Our only recommendation is that you do not go overboard and throw one mindboggling disaster after another at a team of shell-shocked agents. At most, use only one occurrence from each complication chart per mission. Once an agent has survived a hurricane, a forest fire will stretch his suspension of belief past the breaking point. Use one complication at a time during the development of the story to see how the players react to it. Complications during the exposition, climax, and coda of a story should be used sparingly because they will confuse or frustrate agents during these critical periods. Take a look at the AD&D Dungeoneer’s Survival Guide, page 99, and note the types of players described therein (it’s out of the spy genre, but the player types are universal). If your players are of the adventurer type, they will enjoy a series of these events just for the sake of excitement. The right kind of distractions and red-herring events will also work with role-players. Problem-solvers are least likely to appreciate unexpected events that do not advance the plot, though they may like the mystery involved in some events. These complications can be interspersed with the main plot’s story elements to provide foreshadowing, mystery, pacing, timing, and challenge, as well as a taste of the unusual. These complications can be used with linear, open, and matrix story lines and may reduce the huge investment of time for research and preparation needed for an open story line. To use these checklists, chose one of the categories, and find the accompanying complication checklist. Pick one of the events on the chart, check it off, and work it into the mission. Those complications not checked off become possibilities for the next mission. Never use the same complication twice in the same campaign! Working some events into the mission may be difficult or impossible. For example, if an agent’s plane is supposed to be hijacked but the agent only travels by train, the event should modified. Someone the agent knows might be involved, though he was not there. in the case of criminal activity, the victim of a crime might be the agent himself, a fellow team member, a family member, a friend, an enemy, or the agent’s contact for the mission. The agent might be blamed for crimes committed against any of the above. For example, an agent might have a difficult time explaining the untimely demise of his superior after a noisy argument with the superior about a payoff. Do not overcomplicate these events. A player may be confused enough trying to figure out what his agent’s domestic problems have to do with the mission. Do not explain things to the player; let him try to sort out his character’s complex life. And do not have one agent on a team take the brunt of all the bad news. Spread the difficulties among everyone. A really big event might affect them all, like having a tsunami hit the beach on which the agents are camped. As always, provide the agents with a way out of their predicament. Devastating, difficult, mysterious complications will test your players’ resiliency, stretch their imagination, and give them a sense of accomplishment. They might even thank you mission. Agency complications may be planned or accidental. If they are planned, they might have been designed by someone with malicious intent. Perhaps the agent had offended a superior years before, or the agency has been infiltrated and the superior is merely following orders from higher up. Perhaps there has been a simple, typographical, paper-shuffling, bureaucratic blunder, and the agent will suffer because of it. Life is hard. The agent is underinformed or misinformed about the number of persons present at the target site, a security system, the number of guards present at target site, the amount of ransom to demand, the target’s armament, the consequences of discovery, or special identifications, signs, passwords, rituals, tests, or rites. The human target of the mission is a double, or the object target of the mission is a fake. The agent has been paid in counterfeit currency. The agent has been issued faulty documents: identity papers, passport, driver’s license, orders, etc. The agent has been issued incorrect, faulty, or sabotaged equipment for the mission. The agent has been framed as an enemy or a criminal. The agent is to be sacrificed in a deal to protect another mission or another agent. The agent’s cover is about to be deliberately or accidentally blown by a friend or the agency. The agent is the unwitting decoy or bait for another mission. The agent’s contact or superior disappears, is incapacitated, arrested, captured, or killed. The agent’s contact, teammate, or superior is an enemy agent. At the site of a mission , an agent might fail to do one of the following cover-up activities. Additional slip-ups can be created by the Administrator if the mistake is one the agent would obviously not have made-but we all make mistakes. Make a clean sweep, combing the job site to remove all incriminating materials or clues (including fingerprints and bullets), and either vacuuming, sweeping, or moping job site for hairs, soil, and trash. Sanitize, removing all references that might identify the source or motive of an action, or the places and people involved. Plant false, confusing, or misleading information (to include misleading messages from a “victim”) to create a frame up, allow for escape time, or misdirect authorities. Disguise an operation as a natural occurrence or random event. Leave (or take) a rope, ladder, or climbing device hanging out of a window. Tape (or remove tape from) door latches to prevent latching. Loosen, open, or lock man-size gratings, access panels, window, or doors from the most likely sides. Fake a suicide (leaving note or death weapon within reach), a self-defense killing (leaving two or more bodies involved in believable positions), or a natural death. Destroy a target or weapon to ensure it cannot be found. Travel problems are divided into four sections: air, water, rail, and highway. Enjoy your trip. The agent’s flight is delayed or cancelled just before boarding due to mechanical failure or weather conditions. The agent does not clear health certificate inspection, passport inspection, or customs inspection. The airline does not have the agent’s flight reservation, is overbooked, or has bumped the agent for other reasons. The agent (or a companion) smokes in a restricted area or makes an inappropriate joke about bombs or skyjacking, resulting in his detainment and possible arrest. The aircraft has an accident during take-off or landing (tires blow, skids on ice, strikes ground wires or vehicle, overshoots runway hits wind shear, encounters fog or whiteout, etc.). The aircraft is skyjacked by terrorists or a madman. A bomb threat is received, or an unexploded bomb is found aboard the aircraft. A fight breaks out or a murder or theft takes place aboard the aircraft. The food served on the flight is tainted or poisoned, resulting in illness among the crew and passengers. The aircraft accidentally or deliberately (but without the agent’s knowledge) flies into restricted airspace. The aircraft has an onboard explosion or fire, caused by a bomb, lightning, mechanical failure, or dangerous cargo. The aircraft flies into turbulent air, a violent storm, or icy conditions. The aircraft’s wing, tail, cargo door, engine, or landing gear falls off in flight. The aircraft is shot at accidentally or by hostile forces, using bullets or missiles. The aircraft must make an unscheduled landing at the nearest available airport due to bad weather, mechanical failure, poor passenger health, closing of the destination airport, or other problems. The aircraft must make a crash landing due to bad weather, mechanical failure, action, or pilot error or incapacitation. The aircraft collides with a mountain, trees, power lines, antennas, tall building, second aircraft, or UFO. The aircraft ditches in water and begins to sink. The burning aircraft lands safely, but the passengers are unable to escape. The aircraft lands safely but at the wrong airport due to pilot error. The agent’s luggage is lost, temporarily or permanently. The vessel runs aground on a sandbar or shore. The vessel sinks or capsizes, taking on water either across its decks, through a leak below the waterline, through a large hole, or from the breakup of the hull (see following for causes). The vessel strikes an iceberg, buoy, reef, dock, sea mine, or second vessel. The vessel is struck by a waterspout, freak wave, high winds, heavy seas, or hurricane. The vessel encounters an unfriendly whale, sharks, or sea monster. The vessel explodes or catches fire; the cause is located in either the engines, fuel tanks, boiler, cargo hold, or the passenger compartment (and may be sabotage). The vessel is targeted by a torpedo or a land-, sea-, or air-launched bomb or missile, either accidentally or by hostile forces. The vessel is attacked by modern pirates or terrorists using high-speed boats, minisubs, aircraft, agents aboard the ship etc. The vessel loses all power and communications, and is adrift on the open sea with no SOS sent. A barge explodes, causing clouds of smoke and fumes. A sunken vessel or collapsed bridge blocks the waterway. Select an appropriate problem from the “By air” section (hijacking, missed or delayed boarding, etc.). The train is grossly delayed by bad scheduling. Mud, rocks, or trees, or snow, block the railroad tracks after a slide, avalanche, earthquake (cows can block a track, too, as can a child with a bar of soap). The train encounters a major grass or forest fire. The train is switched to the wrong track, leading to a derailment, collision, or simply a long delay in getting on the correct route again. The train is forced to stop by military forces, terrorists, or bandits. The train is shot at accidentally or by hostile forces. The train derails but does not tip over, coming to a halt in a canyon, on a trestle, in the wilderness, or in the middle of a town; the derailment resulted from high winds, a tornado, sabotage, human error, or simple mechanical failure. The train has a severe derailment, with cars falling over a cliff, into deep water, etc. The train collides with a vehicle at a crossing, with debris on the track, with another train standing still, with another train head on, or with an end-of-line obstruction. The train passes through an open drawbridge or downed bridge. The train stalls in a tunnel without adequate ventilation, causing mass suffocation. A gas leak causes an explosion in the subway. Wooden platforms catch fire at an outdoor or subway station. The train does not stop at your station. Select an appropriate problem from the “By air” section (hijacking, missed or delayed boarding, etc). Mechanical failure causes the vehicle to not start, to stall in traffic, to lose its brakes, or to develop any one of many other serious problems. The vehicle runs out of gas, oil, brake or transmission fluid, or coolant, possibly from a puncture. Thieves break into the car while it is parked, possibly slashing the tires or smashing the windows. A severe traffic slow-down is caused by an accident or decreased visibility due to snow, fog, fire, or smoke. Mud, snow, flood waters, ice, lava, farm animals, or rocks block the road, stranding the agent’s vehicle only. A traffic jam is caused by a vehicle accident, mine explosion, stopped train, raised bridge, blocked or destroyed road, bandits, farm animals, rush hour, construction, or bad weather. The agent encounters a poorly designed and dangerous highway (narrow bridges, sharp curves, no center-lane divider, unmarked railroad crossings, large potholes, etc). A strong wind or a tornado blows the vehicle off the road-and possibly off a bridge. Snow or ice forces the vehicle off the road or causes a collision with a railing, sign, or vehicles. A bridge collapses; it may have been overloaded, struck by a passing ship, or undermined by high water or an earthquake. The vehicle is hijacked or stolen by thieves, terrorists, armed robbers, desperate citizens, children, or a madman. The vehicle is shot at accidentally or by hostile forces, possibly by the police or by rioting or careless citizens. The agent is threatened by a drunken or careless driver, an armed hitchhiker, or a disturbed passenger. The agent is involved in a vehicle accident or traffic violation, possibly leading to his detainment or arrest. The vehicle is correctly (or incorrectly) reported to be stolen or to have a violation pending. The agent or driver becomes intoxicated or overtired while driving. The agent cannot find his car keys or locks them in his vehicle. The agent, or someone the agent knows, is assumed to be the victim of one of the following (attempted) crimes. The offenses are divided into violent crimes, property crimes, and other crimes. The crimes in this checklist might be avoided if the agent has taken proper precautions. (Imagine the look on a mugger’s face if an agent defends herself by drawing an automatic weapon!) Of course, it is possible for the agent to have actually committed such crimes and be sought for them-or else the agent is believed to have committed them (perhaps he has been framed). The agent might also be an unexpected witness to a crime, being thereafter sought by criminals and police alike. Stolen property-buying, receiving, possessing, etc. The events on this checklist were taken from the Life Change Units Scale developed by Drs. Thomas H. Holmes and Richard Rahe, psychiatrists at the University of Washington Medical School. The events are listed in order of descending stress value. These are generally severe disruptions of an agent’s private life and are in addition to any number of other personal problems an agent might have (bills, taxes, arguments, etc.). The stress produced may be physical, mental, or emotional, but not all stress is bad (even good things can cause stress and upheaval). Role-player types of players thrive on this detail. It is recommended that Administrators go easy when using this particular checklist, especially if the player seems to be quite attached to the NPCs in his character’s life. However, consider the possibility of having one or more of the following faked by enemies of the agent (e.g., a false Dear John letter) or appear in (false) rumors that might surprise the agent. An avalanche changes the course of a river, buries skiers, or buries buildings. An earthquake triggers a volcanic eruption, destroys buildings, causes citywide fires, starts a tsunami, ruptures gas lines, bursts water pipes, causes mass hysteria, causes a mud slide or rock slide, destroys railroads and highways, destroys bridges and tunnels, or triggers geothermal activity in the vicinity (geysers, hot springs, fumaroles, etc). A fire spreads through a forest or across a prairie. Flooding occurs as melting snow or heavy rains cause the sea or a river to overflow, which causes starvation (because food is destroyed), disease (cholera and malaria), mass drowning of animals, contamination of the water supply (from bodies and debris), land slides, or mud slides. One or more of the following occur, causing widespread damage or danger: hurricane or cyclone; tornado or waterspout; sudden high winds; dust storm; sandstorm; blizzard; icestorm; hailstorm; monsoon; thunderstorm; electrical storm; drought with heat wave; heavy fog; freak shower of live animals or strange debris. A freak sea wave or tsunami strikes. A volcanic eruption produces ash clouds, destroys buildings, starts a lava flow that starts fires, releases noxious gases, or pours ash and pumice on populated areas. Wild or domestic animals attack the agent (insects, spiders, snakes, dogs, lions, elephants, etc). Humanity is no slouch when it comes to disaster-making, either (see “Natural disasters” for other details). Humans are very creative in inventing new types of accidental calamities; those in this checklist are very specific and were drawn from historical and recent records. For more ideas, watch the evening news. A massive blackout or brownout of electrical power occurs. Oil spills from a storage tank or ship. A crane or scaffolding collapses at a construction site. A floating hotel or oil rig capsizes. A dam or dike collapses. A fire or explosion occurs in a church, government building, hotel, industrial plant, mill, mine, missile silo, night club, oil rig, refinery, school, or theater. A chemical explosion in a factory, ship, or mobile tank causes poisonous fumes or smoke to spread. A ship or truck carrying explosive or poisonous material detonates in port, on a highway, or in a city. A nuclear reactor leaks gas or melts down, causing radioactive contamination of air, water, and earth. A racing car crashes into a grandstand. Sky divers jump through an overcast sky from an off-course plane and land in a lake. Bleachers at a sporting event or political rally collapse. A riot or stampede occurs at a sporting event, political rally or rock concert. Rioting and looting break out in an area of civil unrest. Terrorists attack unarmed citizens with guns or bombs. The agent enters a war zone. (The Administrator should use this event only in areas where this is likely to occur. The range of awful things that can happen to an agent in a war zone is far too extensive to list here). An allergic reaction or food poisoning strikes the agent. Choose an event from the “Travel problems” checklists but have the agent be a bystander, not a traveler. A funny thing about the covert operations business is that its activities sometimes attract the attention of local law enforcement officials. The police do not care to have crimes committed in their jurisdiction. They also share information with other agencies and make it hard for agents to escape detection, arrest, and prosecution. A weapon used on a mission is found and examined. The motive for a mission that involved breaking the law is discovered. The agent’s physical description is accurately recorded after one of his missions (unless he used a disguise). The agent cannot return to the job site without almost certain arrest. A routine check of the agent’s files during an unrelated event (like a traffic violation) reveals irregularities that the police begin to check out, possibly blowing the agent’s cover or leading to his arrest on other charges. Crooked cops want a payoff, or the agent will be arrested anywhere for his law-breaking activities. The agent is arrested and sent to the police having jurisdiction over one of his job sites; the agent has been connected with that job. The internal security organizations of a nation are known as the “secret police.” No two secret police organizations are the same, but none is completely unique. Secret police forces may be politically leftwing or right-wing, technically backward or advanced, minute in size or gigantic. The secret police become a state within a state the moment that a nation allows its citizens to be detained indefinitely. Four other elements of hard-core secret police activity come into play once a citizen experiences the loss of all legal recourse to protest his detention (see the checklist). Events listed herein can be circumvented by agents if they take proper precautions. It could be extremely frustrating for the secret police to have their listening devices detected and destroyed almost immediately after being planted! The agent or an associate is the target of whichever event is selected. Searches, usually disruptive and without warrants. Arrest, at a time and place of the secret police’s own choosing. Interrogation, including physical and psychological torture. Indefinite detention, often under inhuman conditions. Whenever messages are transmitted by phone, mail, radio, or what have you, the possibility of interception exists. Part or all of the message is broadcast to others (enemies, police, other agents, ham operators, etc). The message (and mission) are known to the police. The agent is discovered and is being tracked. Whenever a human target is being watched, there is a chance the surveillance will be detected and blown. The target discovers he is being watched. The target knows who is watching him and may seek revenge (see “Revenge”). The agent loses track of the target, and the mission fails. Just being an agent has its own particular blend of dangers and obstacles. Some of these complications become dilemmas that lend themselves particularly well to players who enjoy in-depth role-playing. A few of these events are repeated from other lists to emphasize the particular problems associated with maintaining a good cover or staying on top of things. The agent’s conscience or morals are offended (caution: some players resent being told how their agents “feel.” If an agent shows moral sensitivities, how ever, the Administrator may test them). A superior requests or orders the agent to perform a mission that the agent believes is “wrongfully” illegal. The agent can either obey, disobey, or go over the superior’s head. The agent suffers an illness or accidental injury. One or more pieces of the agent’s equipment are damaged, lost, or stolen (Administrator’s choice). The agent loses his glasses, contact lenses, hearing aid, or other corrective or prosthetic device. An unleashed dog, guard animal, or wild animal attacks. Organized crime figures, enemy agencies, secret police, or terrorists attempt to recruit or press the agent into service for them. Smugglers unwittingly place contraband in the agent’s vehicle before he crosses a border or check point, in hopes of retrieving the contraband on other side. An acquaintance (spy, family member, friend, co-worker) blows the agent’s cover under pressure or by mistake. The agent gains inside information which, if used correctly, can make him very wealthy-but will jeopardize his cover, mission, team, or agency. The agent wins a lottery or sweepstakes, but publicity may blow the agent’s cover. The agent is called to be on jury duty, is subpoenaed to appear in court, is sued, or is made executor of a will. The agent is the victim of mistaken identity and is involved in subsequent events against his wishes. The agent is photographed by a newspaper photographer or filmed by a television crewman at some news event, but publicity may blow the agent’s cover. The agent’s activities have attracted the attention of a news reporter, and the reporter begins an in-depth check-up on the agent, possibly with the backing of others in the media. The agent attracts the attention of someone who either worships him, is obsessed with him, or is otherwise greatly attracted to him; the agent cannot shake this person, who follows him everywhere. When a rival agency’s counterintelligence force or target group detects the agent working against it, a variety of reactions and retaliations are possible. Discovering the identity of the agent responsible for a job becomes the main goal of the target group. The agent’s identity is discovered, and his dossier is circulated. The agent (and possibly his superior and co-workers) is put on an extermination list; assassination attempts will be made in 1-10 weeks. The agency or bureau is penetrated, and a double agent is insinuated. All bureau missions will be compromised (targets and objectives are known with 10-90% accuracy, though specific mission are not discovered by the double agent on roll of 00 on 1d100) until the double agent is discovered and eliminated. This double agent can be either an NPC or a willing player character, who may then be a triple agent. In the espionage business, one of the worst things an enemy agency or group can do is leak information or expose an agent to the devastating brilliance of public scrutiny. If the agency is funded with public funds, those resources may suddenly vanish. Disruptions in the agent’s personal and family life, as well as police investigations, may follow. The existence of the agency is hinted at, but no real data is exposed and little actual harm is done. A cover-up is successful, but the agents concerned must operate in a foreign area for 1-10 months. The agents must work in a different bureau, and missions must take place in a region other than where the cover-up occurred. Because of unfavorable results, no bureau bonuses are awarded in the affected bureaus for the next 1-10 missions. The agents involved must either retire or transfer to another bureau as their identities are compromised. The agency’s public funding is reduced; government controls are instituted or tightened. Public outcry may demand that the agency’s powers be curtailed, that its activities be closely monitored and regulated, that it be forced to report to a governing body in detail, or that the agency be completely disbanded. The victims of crimes (and the agent’s actions) often want justice served. If they cannot or do not want the law involved, they will take the law into their own hands. Determined or rich individuals can plague agents for years, even creating opportunities for blackmailing the agent. A private investigation of the agent begins, and the agent is tailed. All of the agent’s belongings not on his person are stolen or destroyed. An enemy attempts to capture or slay the agent. 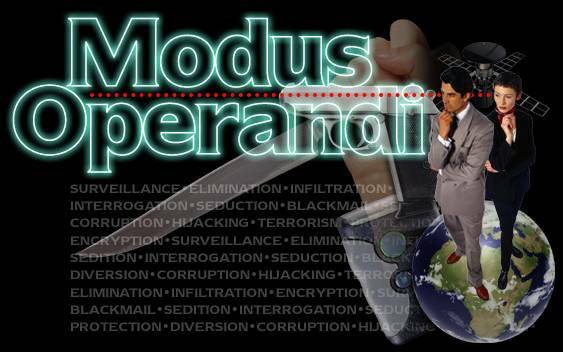 The agent’s activities are recorded or fabricated and used for blackmail. The agent’s activities are recorded and turned over to the police or to a media reporter. Sometimes whole organizations that have been thwarted by the actions of an agent or agency attempt to seek revenge. In such cases, a single agent, his family, or his entire agency may be at risk. One agent (Administrator’s choice) is suspected to be the cause of a criminal, terrorist, or espionage group’s problems. An assassination attempt will be made in 1-10 weeks on the agent or the agent’s family members. All agents who have worked against the group are identified. Assassination attempts will be made in 1-10 weeks on each agent or his family members. All agencies involved in opposing the group are found out. The agencies’ headquarters and safe houses will be attacked by bombs or arson in 1-10 weeks. Assassination attempts, bombings, and arson will be attempted, and information on the agencies involved will be leaked (see “Publicity”) within 1-10 weeks. A full-scale vendetta begins, lasting indefinitely. While the goal of previously noted attacks was “an eye for an eye now the “injured” group wishes nothing less than the total destruction of the agency, its agents, and its allies. The vendetta will take on the aspects of a holy war and will end only when one side or the other ceases to exist. The lifeblood of espionage is not money, it’s information. When a target organization can poison this lifeblood with disinformation, the investigating agents become weak and ineffectual without ever being personally threatened. False information is gained but is not important compared to the balance of data; however, no monetary bonus will be paid because of it. False information is received that delays the usefulness of the remaining data; no bureau bonuses in cash or experience are awarded. False information is received that causes great harm to the agency by concealing the true intentions of the target or by concealing another agency-threatening situation. The effects of such disinformation (which could conceal a highly placed mole in the agency or the existence of a group opposed to the agency) will not be immediately felt, but will take their toll on the agency over time. An agent is discovered after false information that he acquired has been traced; he may be quietly noted, his cover may be blown, he may be revealed to the media (see “Publicity”), or an assassination may be attempted. False information is used to cast doubt on the reporting agent’s loyalty; the agent is accused of being an enemy or double agent. Unless special steps are taken to prove his loyalty, the agent will be deemed ineffective and forced to retire from the agency. The list of things that can go wrong on an espionage mission is long and frightening, indeed-and it is hardly complete. it must be emphasized again that the Administrator should not throw more than a few unexpected problems at the agents during any mission. Otherwise he risks losing the coherence of the adventure plot (as well as the interest of the players). Previous story The Automobile Assembly Line for Top Secret/S.I.